A more colourful notebook page than usual! 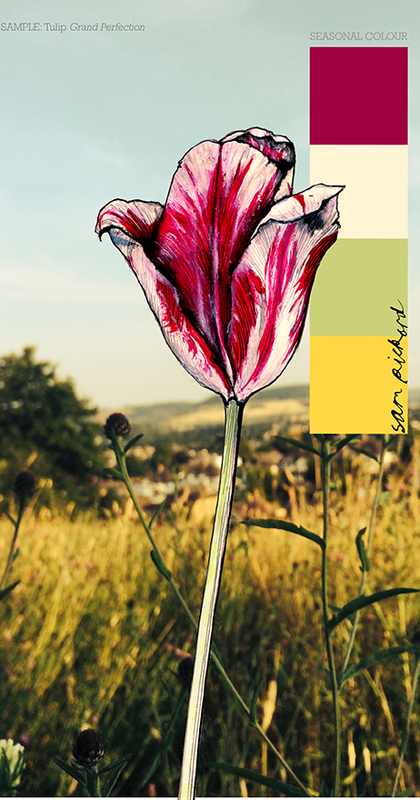 inspired by the group of Tulips painted by Phillip Reinagle for 'The Temple of Flora' by Dr. Robert Thornton. 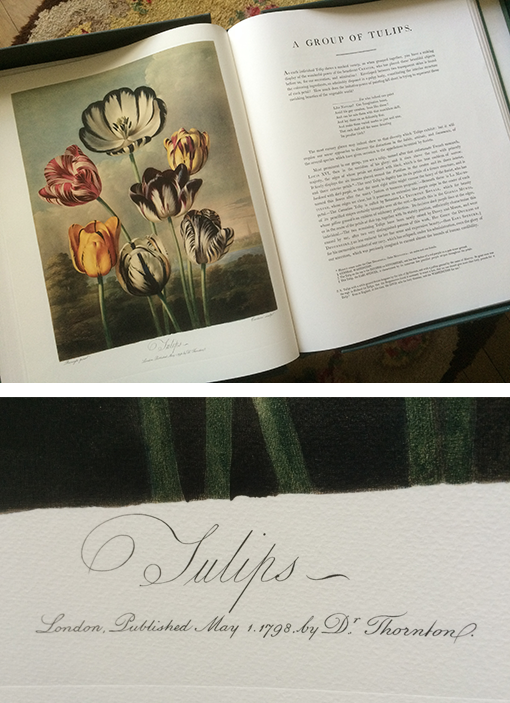 When, last week I spotted a pot of crimson striped tulips in the market, they made me think of this painting, and as I'm fortunate to have a full size facsimile of Dr. Thornton's book, I heaved it out to have a look. 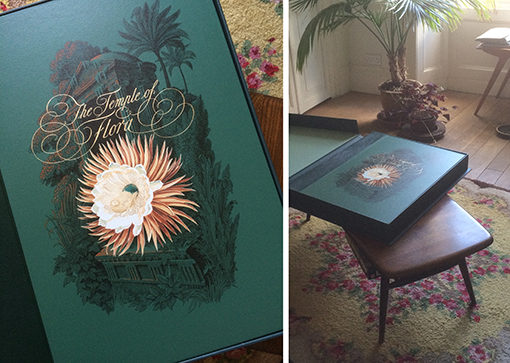 Apparently Dr. Thornton bankrupted himself creating this book, known and prized primarily for its wonderful illustrations, it's also filled with poetry and exquisite hand flourished scripts. For further reading, there's a very good article about it with more illustrations on Dunbarton Oaks research library and collections blog here..
Far too large for a coffee table at over half a metre in height!